Suppose a big square has 4 congruent smaller squares (each having side length x) that are each cut from the corners of the larger square. 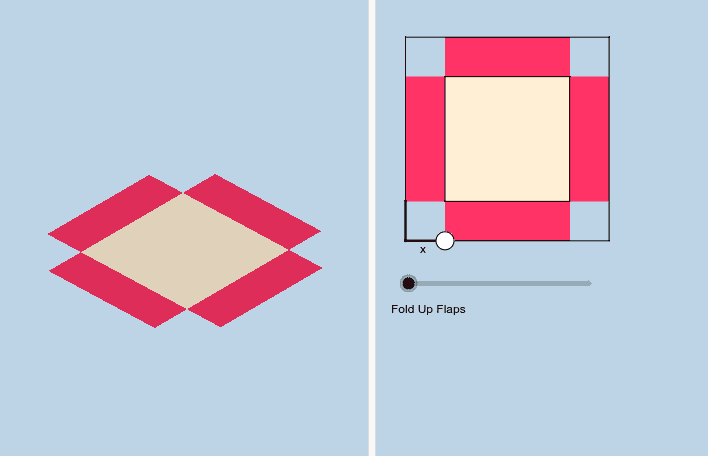 The 4 rectangular pieces that remain are then folded up to create a rectangular prism (box) with open top. You can move the white point to see the different-sized boxes that can be created. Use this applet (as needed) to help you as you complete the Box with Open Top performance task given to you in class today.